A Friday bonanza with Celestial Teapot coming back to Delhi from Pune after long and Lo! 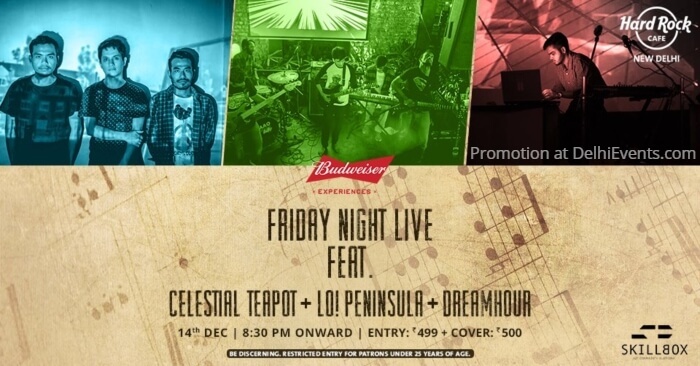 Peninsula from Imphal and Dreamhour from Siliguri for the very first time, 14th December promises to be a night to remember for all who like to headbang and dance! Having recieved critical acclaimation from various publications and a tremenduous amount of airtime across international radio stations, all three artists bring their stage acts to the fore for some great entertainment!